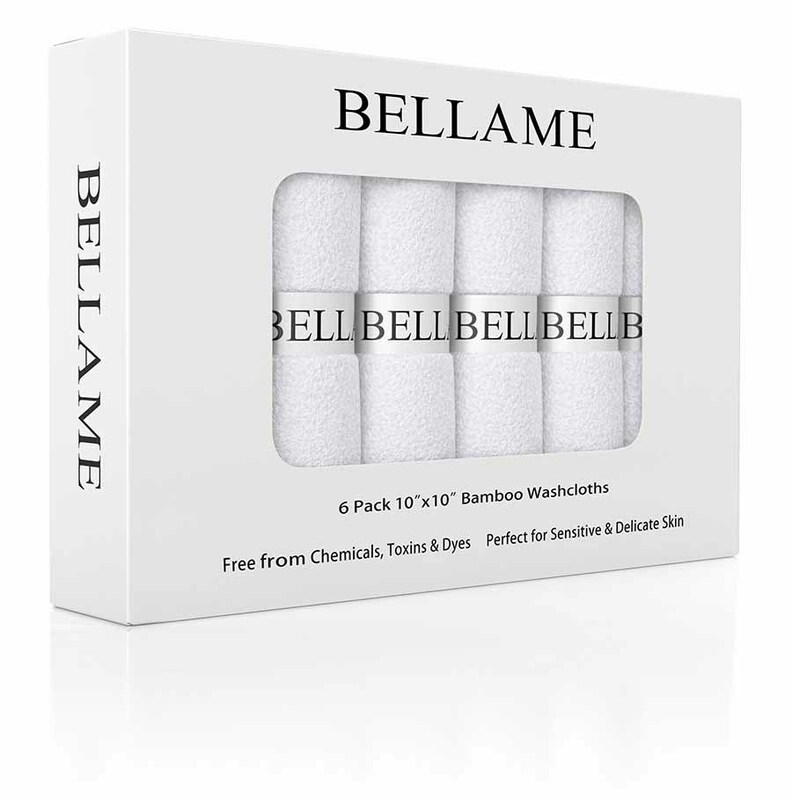 Washcloths | Bellame Beauty Inc. Receive a FREE set of six ultra-luxe BELLAME washcloths with the purchase of The ACQUA LUMIERE COLLECTION. Gift Valued at $22. These bamboo sourced, heavenly washcloths are the perfect match for The ACQUA LUMIERE HYDRATING CLEANSER. Experience the ultimate luxury cleansing by applying 1-2 pumps directly onto dry skin. Gently massage over your entire face and feel this intoxicating formula melt into your skin. Next, dampen your BELLAME Washcloth with warm water. Gently press the cloth onto your skin. These luxury washcloths pamper your skin while working together with the cleanser to lift away impurities and makeup while delivering a veil of dewy hydration.